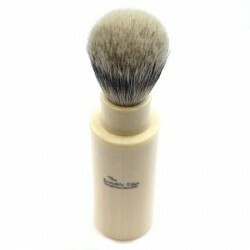 This travel shaving brush is produced from fine quality silvertip badger hair with a composite handle in a faux ivory finish. When travelling the part of the brush holding the loft screws into and is enclosed by the other part to provide protection. For use it is taken out and can be used either "as is" or can be screwed on top of the other part which then functions as a larger handle. 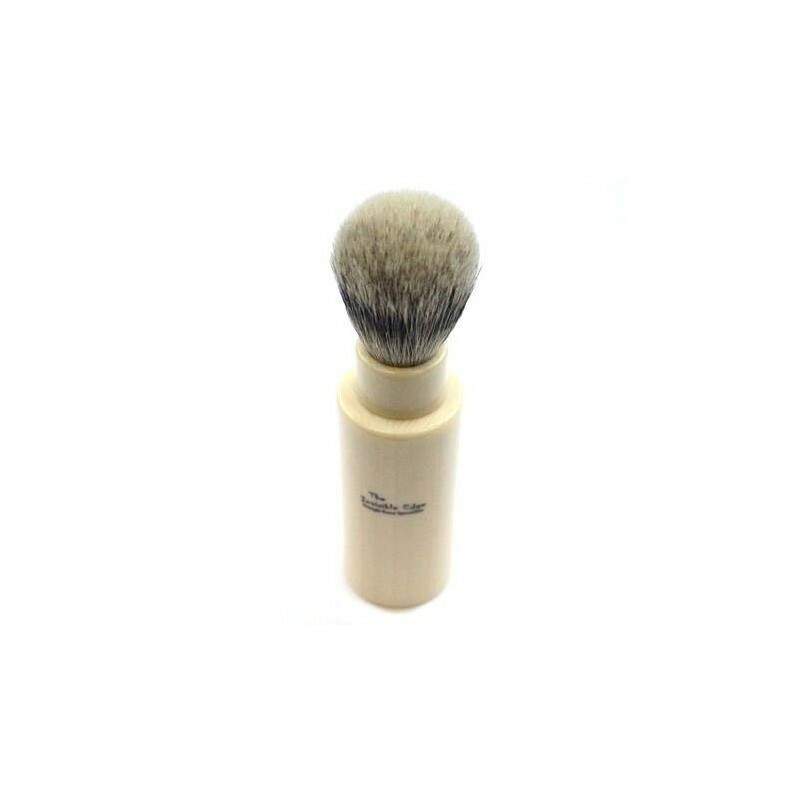 This travel shaving brush is produced from fine quality silvertip badger hair with a composite handle in a faux ivory finish. When travelling the part of the brush holding the loft screws into and is enclosed by the other part to provide protection. For use it screws on top of the other part which then functions as the handle. 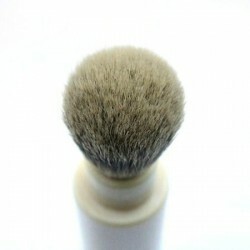 It has a 22 mm knot size (that's measured across the opening the bristles protrude from) with a loft height of approx. 49 mm and an overall height in use of 150 mm.